On a trip to Niagara Falls, we discovered Old Fort Niagara tucked a short distance away in Youngstown, New York. While my family is admittedly partial to forts and military sites, this beautiful fortress really blew us away. Fort Niagara was originally established by the French and was eventually held by the British and Americans during different periods. The design of the fortress is unmistakably French. I think sometimes the importance of the French colonists in the United States can get lost. So, historic sites like this one are vital to remembering the role of French colonists in our history. The site is beautiful! Just look at this gorgeous fortress, the "French Castle:"
Additionally, the fort is perched above the mouth of the Niagara River and Lake Ontario, thus providing some scenic views. The fort has quite a nice parade ground with plenty of space for little ones to run around. This space to move around was much needed after the previous day's long car ride. Of course, my daughter did need to watch out for the reenactors! After all, they did have muskets! When we visited the fort, there were quite a number of reenactors. My daughter had fun learning about everyone's role at the fort. Fort Niagara has a number of special themed events that are worth looking at. Some of the more interesting ones include Ecole du Soldat (reenactors portray French soldiers) and Soldiers through the Ages. The fort dates back to 1726 and does an excellent job of showing visitors a slice of colonial history. In combination with the reenactors, the fort is good at invigorating an excitement about history in children. 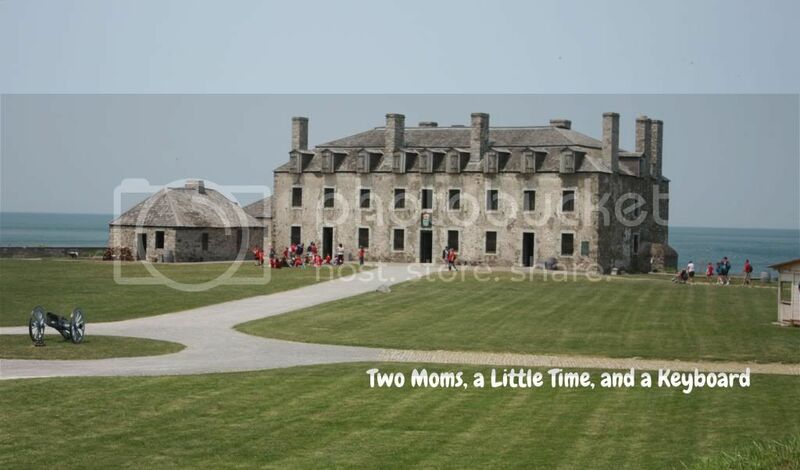 Admission to Fort Niagara is $12 per adult, $8 per child (6-12), and free for those under 6. There are Senior Citizen and AAA discounts, so take advantage of those if you can. The Museum Shop is definitely worth a stop. It houses quite a bit of colonial-themed items including books and figurines. There is a restroom easily accessible in the Visitor's Center. Fort Niagara's hours do vary based on season, so check the website for details. Last admission is one half hour before closing. **Disclosure: No compensation was received for this review. All opinions are 100% my own.